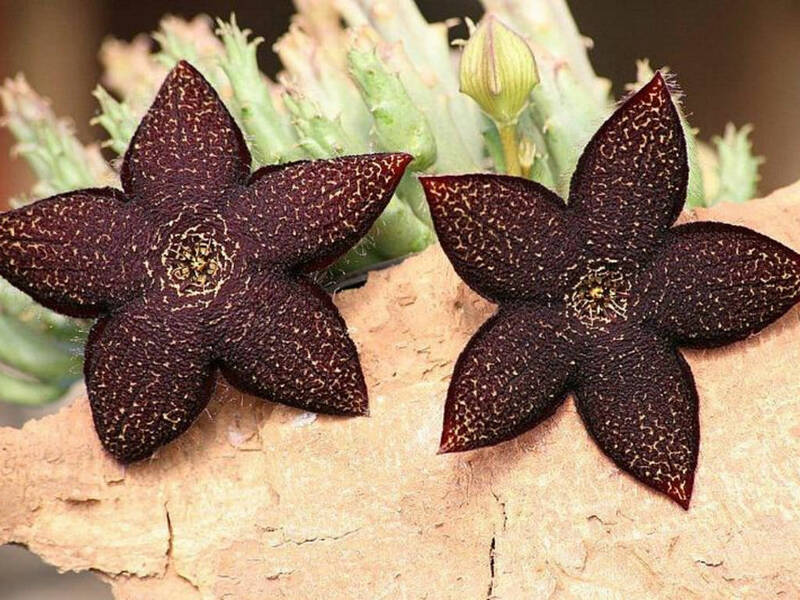 Tridentea gemmiflora is a clump-forming, stem succulent up to 3.2 inches (8 cm) tall. 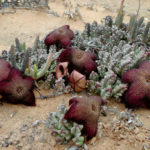 There are long, soft, conical teeth on the ridges of the grey to greenish, four-angled stems, tipped with mall, tiny leaves. 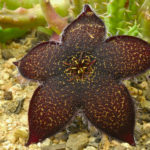 The purple-black, flat-faced flowers are sometimes barred and mottled with creamy yellow, sometimes mottled a paler purple. 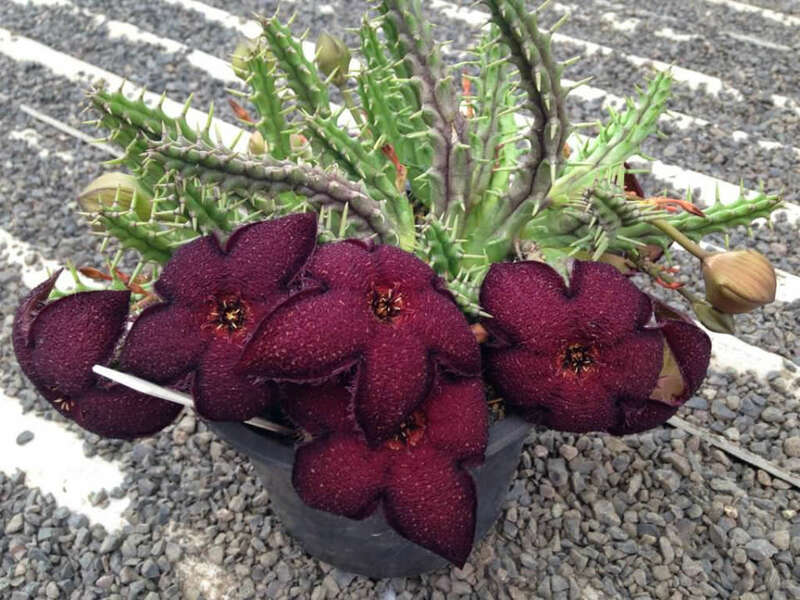 The flowers grow in one inflorescence per stem. 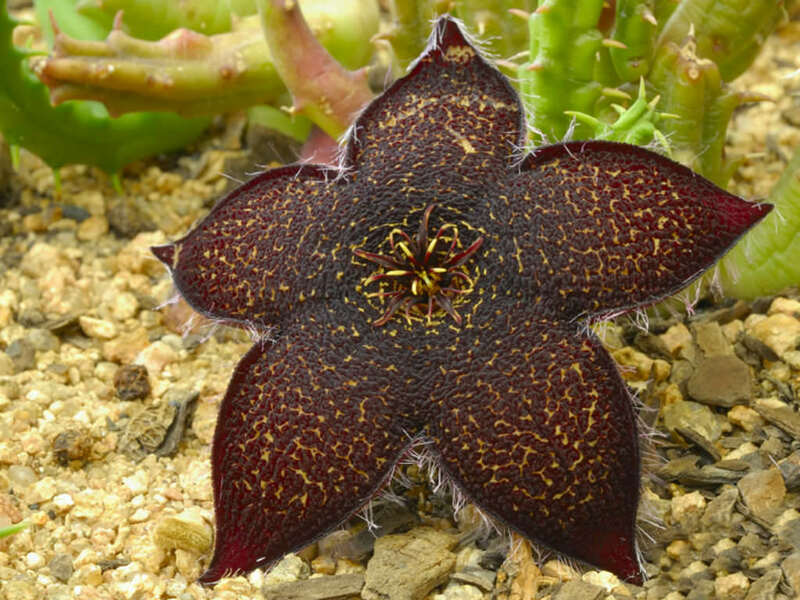 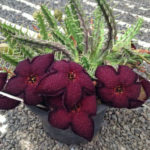 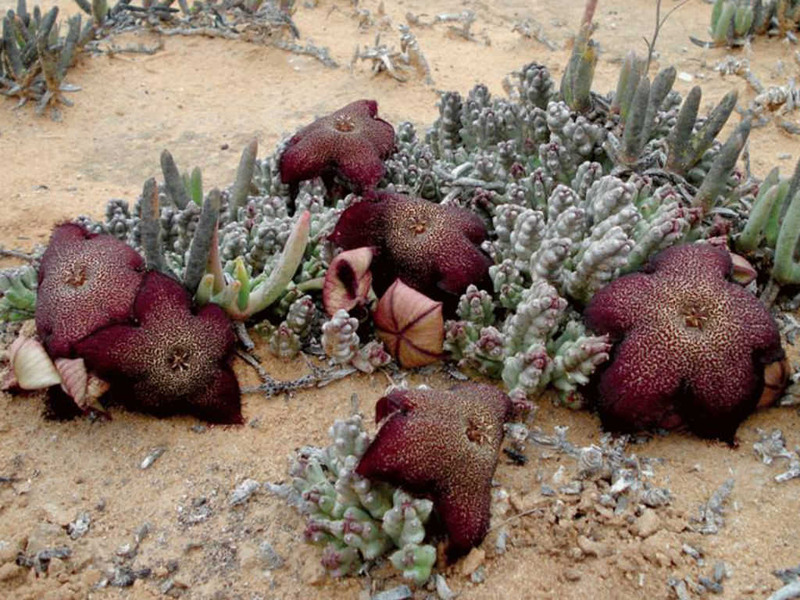 It is endemic to South Africa and is common in the Little Karoo and Western Cape Province.